Do you want to brighten your smile? Are you tired of looking into the mirror every morning and seeing discolored teeth? Your feelings are not uncommon. Thousands of people every day wish they could fix their smile, whether it be yellow or misshapen. 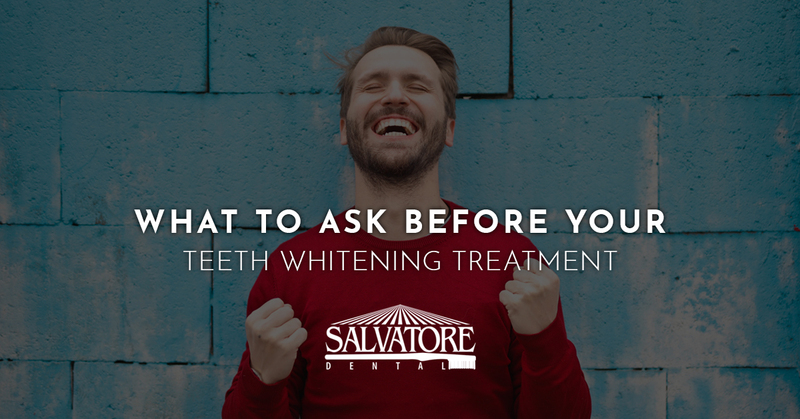 In this post, your local dentist in Malta is going to share some questions you need to ask before you get your teeth whitened so that you know what to expect. #1. Why Do Teeth Turn Yellow? The answer to this question is relatively simple, but it can make a difference in how your teeth are discolored. In fact, how your teeth discolor could determine if you need more than teeth whitening to brighten your smile. If your teeth are too stained or misshapen, your dentist may be recommended dental veneers. Overall, you need to ask your Malta dentist why your teeth are staining to understand how to brighten your smile. #2. How Does Teeth Whitening Work? You will want to ask your dentist how teeth whitening treatment works, if you’ve never opted for the procedure. It’s best to understand how it works so that you know what to expect during and after the treatment. #3. Will Teeth Whitening Cause Teeth Sensitivity? Depending on your oral health and the state of your teeth, you may find that your teeth become sensitive after your teeth whitening treatment. If this happens to you, you’re not alone. The best course of action is to ask your dentist how you can prevent or remedy any kind of sensitivity you may experience. Depending on the type of teeth whitening, your results will vary. You and a friend can get your teeth whitened by the same dentist and have a different brightness outcome. This is normal. Your oral health and your friend’s oral health are different, as well as the integrity and health of your teeth. Given the current state of your teeth, your dentist will be able to give you an idea of what you can expect from your teeth whitening treatment. #5. Should Teeth Whitening Toothpaste Be Used Post Whitening Treatment? You will want to ask your dentist this question so that you can get the best results for teeth whitening as possible. A professional teeth whitening from your Malta dentist will brighten your smile. Adding in a regular teeth whitening toothpaste every morning may enhance your results. The best course of action is to ask your dentist what you should do. #6. When Is The Best Time To Whiten Teeth? The health of your teeth and the amount of whitening you desire will answer this question. However, it’s important to discuss this with your dentist to get the best result possible for your smile. If you have an event coming up, it may be best to whiten a few weeks prior. Otherwise, your dentist can help you determine the best time for your whitening treatment. Our dental office in Malta offers three generations of dental care experience. Our mission is to offer comprehensive dental procedures in a comfortable, relaxing environment. When you decide you want teeth whitening, give us a call to schedule your appointment.